Scholastic have released a second picture book and CD of Peter's songs - "Juicy Juicy Green Grass". This colourful book contains the illustrated lyrics with a CD of Peter's songs Juicy Juicy Green Grass, Tadpole Blues, Silly Postman and Red Says Stop. Peter has been enjoying his tour of Australia's Top End. Saw lots of crocodiles in Kakadu, performed in the Cultural Centre in Katherine, and swam in waterfalls at Katherine Gorge, Litchfield Park and Berry Springs. He celebrated his birthday with a scenic flight over Kakadu. Was very warm but also very beautiful. In Darwin Peter has been visiting schools and having a lovely time singing with the local children. Peter will be doing a series of in-school concerts in Darwin from October 27th till Nov 5th. Also in Katherine on Oct 22nd. First trip to the Northern Territory for many years. Peter is anxiously watching the weather forecasts and hoping for a cool breeze! Also hoping NOT to meet a crocodile! In April 2013 I was in London and went to Evensong at Westminster Abbey, which reminded me of the last Royal Wedding that I and millions of others watched on TV. I’m not a monarchist but I’m a sucker for the old fairytales (you may have noticed I have written a lot of songs about fairytales). To me the idea of a prince marrying his princess and then having a royal baby conjures up images of Snowwhite, Sleeping Beauty, Cinderella and even Rumpelstiltskin. I am always overawed at the miracle of birth – every baby born is a miracle, but this one is a kind of fairytale miracle. So I’ve written this song for William and Kate. Hope they like it! Series of matinees and over 18s shows in Sydney, Melbourne and Brisbane. Out of the Square presents a series of concerts around Adelaide, including Marion, Pt Noarlunga, Angle Park, Golden Grove and Hilton. Peter will be talking about his career as a songwriter and illustrating it with music. The second half will be a fun romp through his most popular songs. With the Newspaper Mama Band. 2 hours including interval. New show "There's a Bug in my Toffee Apple" in the Bosco Theatre, Garden of Unearthly Delights. 12.15 every saturday and sunday during the Fringe. 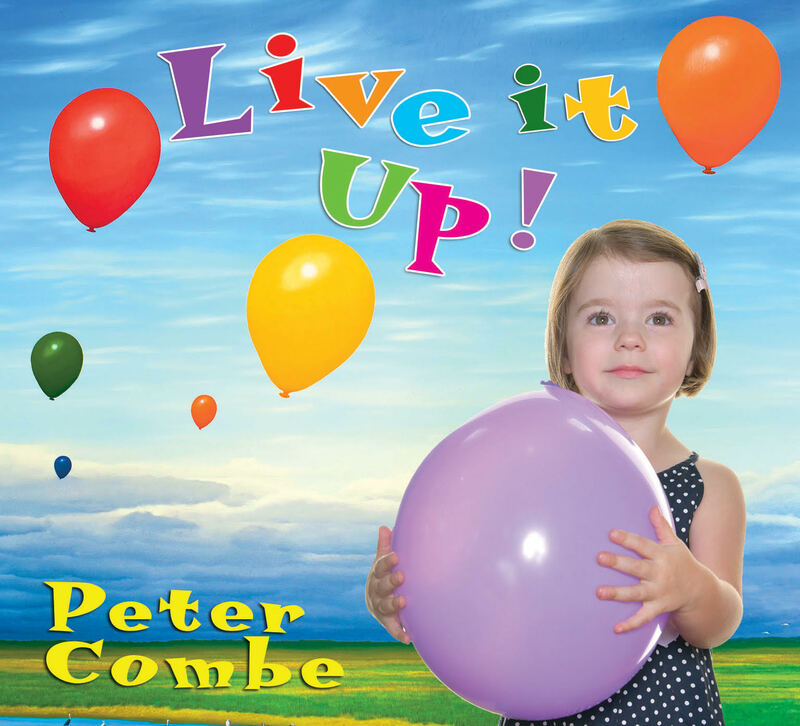 Set within a cafe, Peter Combe will be performing all his classic hit food songs, including Toffee Apple, Spaghetti Bolognaise and Wash You Face in Orange Juice. With actors, waiters, dancers, audience interaction and even a Mini Master Chef contest! New release - the classic collection of all Peter's DVDs in one boxed set - including some new footage of interviews, 2 new clips and the 2008 Live at Jive concert as well as the original Very Funny PC Video Show, Chopsticks and other clips, Little Groover, Absolutely Live concert and Christmas Under the Stars concert. Over 6 hours playing time. RRP $40 - from shops and online from Middle 8 Music.